from site: Eldgjá is a volcanic canyon in Iceland. 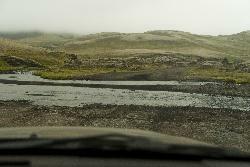 Eldgjá and the Katla volcano are part of the same volcanic system in the south of the country. 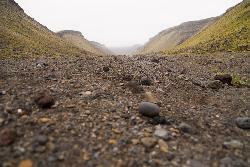 Eldgjá means fire canyon in Icelandic. from site: An interesting waterfall for photographers. It cascades in three stages over the canyon’s edge and has a magnificent arch that borders its upper area. It is possible to walk across the arch. 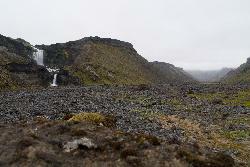 Ófærufoss is located in the interior of the Eldgjá (Fire Gorge) area. from site: Ófærufoss is a waterfall situated in the Eldgjá chasm in central Iceland. Until the early 1990s a natural bridge spanned the falls, but it collapsed from natural causes.